Cocaine prices in the United States have dropped and the drug's purity increased, despite years of effort and nearly $5 billion spent by the U.S. government to combat Colombia's drug industry, the White House drug czar acknowledged in a letter to a key senator. The drug czar, John Walters, wrote Sen. Charles Grassley, R-Iowa, that retail cocaine prices fell by 11 percent from February 2005 to October 2006, to about $135 per gram of pure cocaine — hovering near the same levels since the early 1990s. 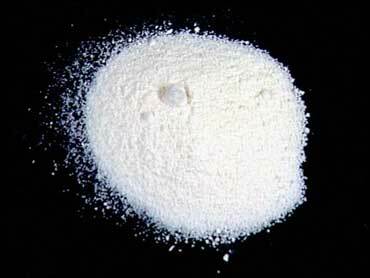 In 1981, when the U.S. government began collecting data, a gram of pure cocaine fetched $600. The purity of this cocaine, meanwhile, has "trended somewhat toward former levels," as well, Walters said in the letter, citing data from the U.S. Drug Enforcement Administration. Colombia supplies 90 percent of the cocaine consumed in the United States. Declining prices and rising purity could also suggest weakening demand, but several household and school-based surveys show that America's cocaine consumption has barely budged since 2000, and demand in Europe has increased. Colombia's president, Alvaro Uribe, is set to meet with President Bush at the White House on Wednesday to discuss U.S. support for Plan Colombia, the anti-narcotics and counterinsurgency program that has cost American taxpayers more than $4 billion since 2000. Walters' letter to Grassley, the Republican co-chair of the Senate Caucus on International Narcotics Control, was sent in January in response to a request from the senator. It was made available to The Associated Press by the Washington Office on Latin America, a liberal lobby group. U.S. officials have insisted repeatedly that Plan Colombia is reducing the quality and availability of to American users. But Grassley, in an e-mailed statement to the AP, said the new data is "all the proof that anybody needs" that the White House drug office "has gotten quite good at spinning the numbers, but cooking the books doesn't help our efforts to curb cocaine and heroin production and consumption." Rep. Jim McGovern, D-Mass., said senior U.S. Embassy officials gave him older, more encouraging data during a visit to Bogota in March — two months after the drug czar quietly released his more downbeat appraisal. "We've given this program a chance to work and clearly this is not producing the results we were promised," McGovern said. "Cocaine is priced as low and purity is as high as it was before Plan Colombia began six years and $5 billion ago." Rafael Lemaitre, a spokesman for the White House Office of National Drug Control Policy, told the AP that Walters would not comment on the letter but Lemaitre described it as "an accurate reflection of our agency's thoughts on the issue." In November 2005, Walters announced that cocaine prices had risen by 19 percent and purity had dropped by about the same. He touted the development as a sign that the United States had turned the corner in the drug war. Drug policy experts rejected his assertions at the time, and Grassley called for his dismissal. "When the data show a brief rise in cocaine prices, the drug czar holds a high-profile press conference," said Adam Isacson, an analyst at the Washington-based Center for International Policy. "But when the trend goes back down again, the drug czar sends it in a letter to one senator. Why is that?"